Liz Ruskin covers Alaska’s congressional delegation, federal agency decisions that shape life in the 49th state, money in politics and elections. She has deep roots in Alaska and this is her third stint in Washington, a city she has grown to love. She was born in Anchorage and is a West High graduate. She studied political science at the University of Washington and has an M.A. in journalism from the University of Missouri in Columbia. During graduate school, she moved to Washington to intern as a D.C. correspondent. But for her first real journalism job, she moved back to Alaska to work at the Homer News. She was there for three years before taking a job at the Anchorage Daily News. Over the course of nine years in Anchorage, she covered City Hall, courts, state politics, and Native and rural affairs. Then, in April 2001, she moved back to Washington to work in McClatchy Newspaper’s D.C. bureau as a correspondent for the Anchorage paper. She stayed in the position for five years. She took a year off for a journalism fellowship at the University of Colorado in Boulder, then freelanced for several years from the U.K. and Japan, in print and radio. 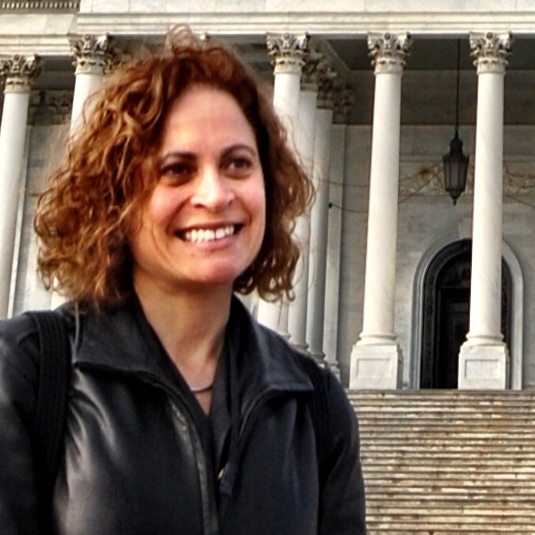 When a vacancy occurred in APRN’s one-person Washington bureau, she jumped at the opportunity. Liz has been APRN’s Washington, D.C. correspondent since October 2013.